of the guest machine. 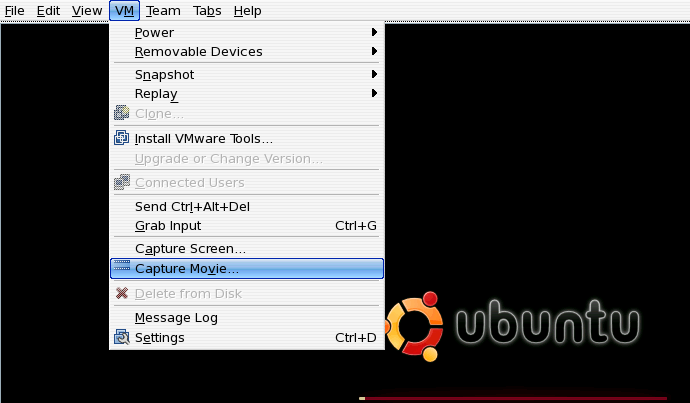 Be it either you want to capture a movie during boot up, or after the guest OS is already booted up and running. I would say it is a very useful stuff, especially when you’re going to document the step and screenshot for whatever reason. I used to write some sort of note and tutorial for my own reference in the future. Kinda a fact, after some period of time, I wouldn’t know anything at all about the past project or solution. when we trying to recall it back as we need to know that again later. For example : I would not able to recall my own password which had been set in the previous 4-5 years. Oh.. that is quite a long introduction.. i guess.. sorry. 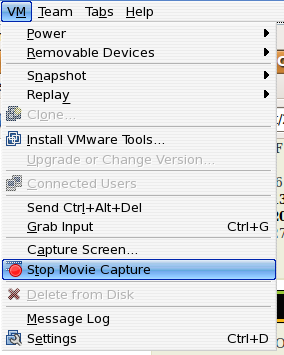 Ok. first we have to capture the movie in the VMWare..
then it will prompt for the filename of the movie..
and.. the icon at the bottom taskbar will have something like this. 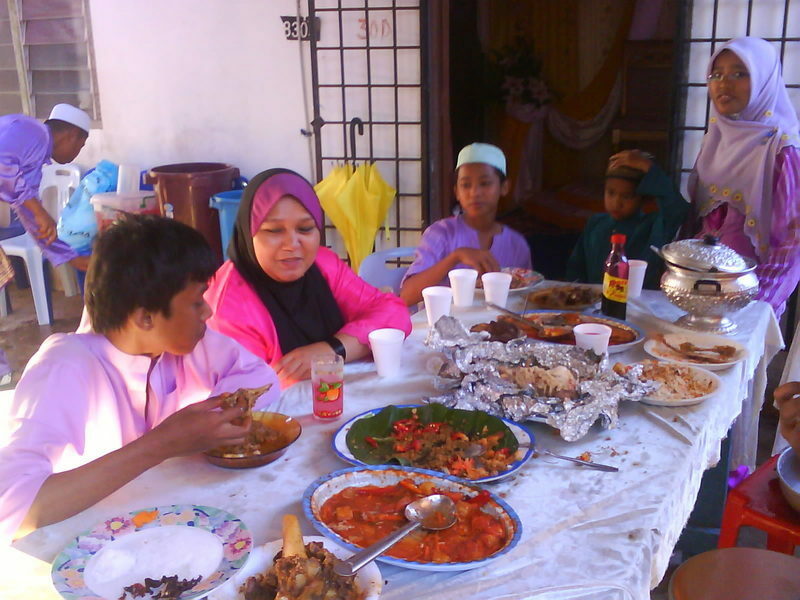 then do whatever you like to do with the guest OS and.. until done..
then.. time to examine the recorded video.. 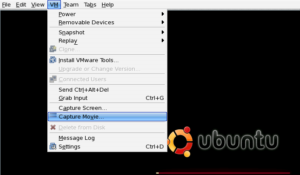 In CentOS , the video cannot be played with “Xine”.. as it popped up something like this..
but that video can be viewed using “mplayer” .. just fine. 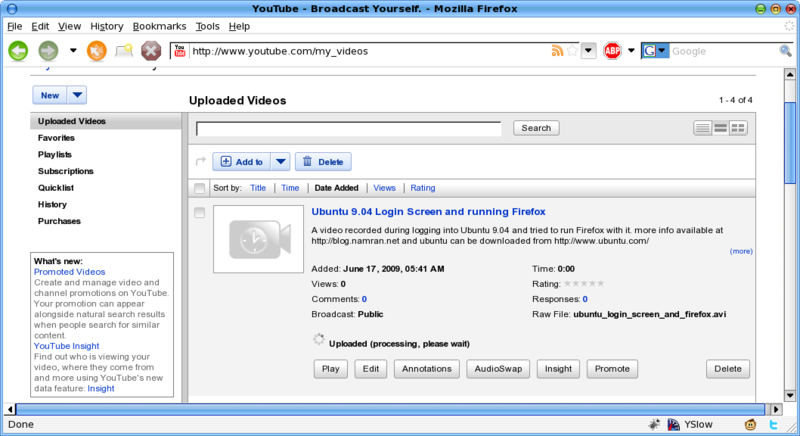 .. now we have to convert that video into something more readable or universal..
as I had tried to upload that video to youtube.. wait for two hours..
just to know that it was “Failed” because not recognized by youtube processing engine..
Ok.. to convert it to Windows Media AVI. 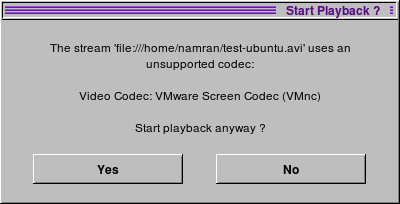 then we can convert any VMWare AVI video to Windows Media AVI. just by running. 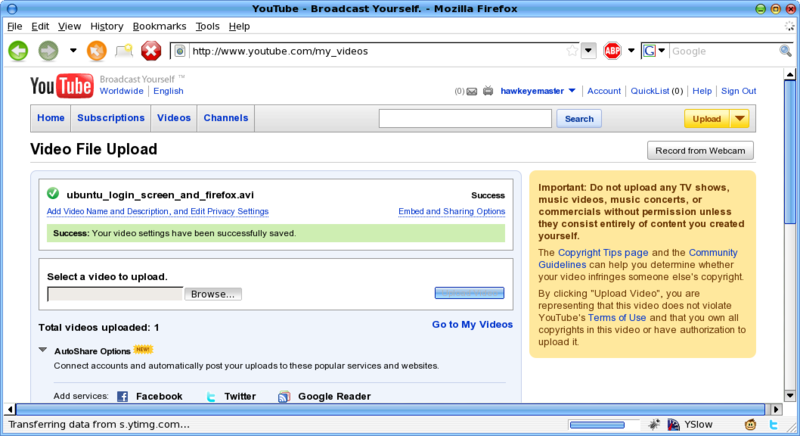 Hmm.. this interface somehow make me waiting.. as no progress bar during upload.. If you’re regular uploader , you might already known that youtube having duration limit of the video of “10min”..
and you will have to re-upload the shorter version of it..
then next question popped up.. how to split the video ? this will split it to 5minute block each..
it will generate something like this.. There are other option for avisplit too..
Hmm.. then.. you might want to merge some of the video..
will spit something like this. then.. can upload it to youtube as normal..
enter the definition.. and all..
Hmm.. the title would be based on the filename of the video file..
have to wait till processing finish..